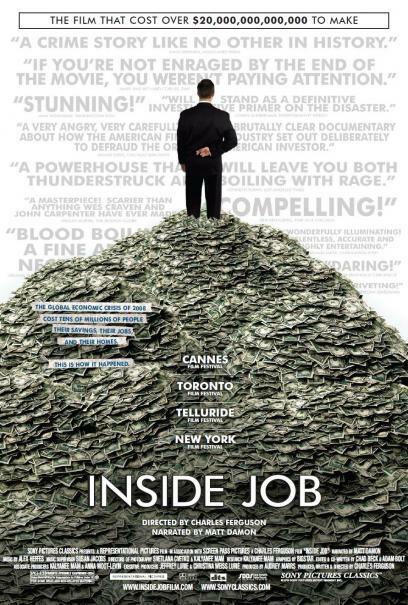 Last night I had the opportunity to watch the Academy Award winning documentary "Inside Job." The film focuses on both the causes of the financial crisis and how nothing has changed within the financial system to prevent the next systemic failure. The situation has actually become far worse and the large banks have become bigger, have less regulation, and receive even greater compensation and incentive to take risks. The film is now available at Blockbuster and on Netflix and is definitely worth the time to view.